Baltimore’s WWII-era Liberty ship needs a new home, reports Navy Times. 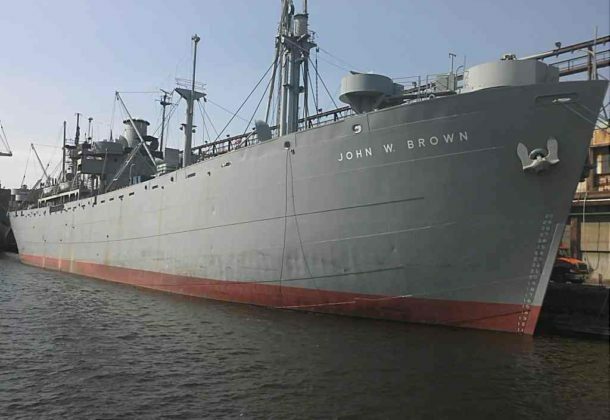 The John W. Brown is one of only two fully operational Liberty ships, which transported vast numbers of military personnel and countless tons of cargo during the war — and the only one sailing regularly out of the port city where it was built. It’s berthed at Pier C in Canton, on property owned by Rukert Terminals Corp. The 440-foot-long gray vessel’s free dockage is due to expire in September 2019. The nonprofit volunteer group that restored and maintains the ship is looking for new digs. Mars lander InSight sends the first of many selfies after a successful touchdown, reports TechCrunch. The robotic science platform descended to the Martian surface at 12,300 mph, landed safely, and sent photos back to prove it. BAE rolls out augmented-reality suite for the Royal Navy, reports Defense News, scheduled to begin operational trials onboard a Royal Navy warship next year. The system is part of BAE’s $27 million investment in advanced combat systems technology. Planned tests of augmented reality for a bridge watch officer role are set for early 2019. Navy Times takes a look at recent developments in the South China Sea, where China is pitted against smaller neighbors in multiple disputes over islands, coral reefs, and lagoons in waters crucial for global commerce and rich in fish and potential oil and gas reserves. However, Military.com reports, that despite South China Sea tensions, the top Air Force general in the Pacific region sees no overt intercept threat. President Donald Trump’s nominee for a USAID leadership position has become the latest senior Navy officer brought down by the “Fat Leonard” scandal. Navy Times reports NavSec Richard Spencer issued a letter of censure to retired RADM Mark C. Montgomery this month, following a review of his interactions with Glenn Francis’ Malaysian ship servicing company. US Navy steps up training standards following the fatal McCain and Fitzgerald collisions, reports Defense News. The Navy shifted $24 million to build what will be a new “Maritime Skills Training Program,” which will be heavily reliant on simulators to bring together officer and enlisted watchstanders to train on equipment and work as a unit. Professor of Anthropology Julia King is featured in Nov. 21 edition of The Washington Post, reports SMCM. King, in collaboration with the Virginia Department of Historic Resources, Chesapeake Conservancy, and the state-recognized Rappahannock Tribe of Virginia, has been tracing the history and development of the Rappahannock Indians in early American history (200-1850 AD). This research is supported by the National Endowment for the Humanities. Japan is preparing to order another 100 F-35 stealth fighter jets from the US to replace some of its aging F-15s. Nikkei Asian News reports the plan can be considered a response to China’s military buildup, as well as a nod to Trump’s call for Tokyo to buy more American defense equipment. Japan already intended to procure 42 of the new fighters. The Air Force has not conducted any bomber missions over the Korean Peninsula since this summer when Trump called for a suspension of exercises in support of diplomatic talks with North Korea, reports Military Times. Flights over the Korean Peninsula were to support deterrence and regional security. Instead of flying over Korea, the Air Force has focused on bomber training missions with Japan and Australia. Saab, BAE, and Lockheed partner for Australia’s Hunter-class frigates, reports UPI. Saab Australia has been selected by BAE Systems to be part of a joint project including Lockheed Martin Australia for the Hunter-class frigate combat system integration. No contract has yet been been signed, but the three companies have collaborated in the past, with Saab’s PLV combat management system already in use by the Australian fleet. The new system would be designed specifically for Australian ships including the Hunter-class. United Technologies will break into three independent companies, reports Fortune. The one to keep the name United Technologies will contain its Pratt & Whitney aerospace business along with Rockwell Collins. A second company will be called Otis, manufacturing elevators and escalators. A third, Carrier, will make heating and air-conditioning systems along with fire safety and security products. USNI News Fleet and Marine Tracker: Nov. 26, 2018. Harris Corp., Colorado Springs, Colorado, was awarded a $217,670,998 hybrid (cost, cost-plus-fixed-fee and firm-fixed-price) contract for monitoring, configuring, and maintaining of the wideband satellite communications operational management system network. Bids were solicited via the internet with three received. Work will be performed in MacDill Air Force Base, Florida; Fort Meade, Maryland; Fort Detrick, Maryland; Peterson Air Force Base, Colorado; Wahiawa, Hawaii; Fort Buckner, Japan; and Landstuhl, Germany, with an estimated completion date of July 31, 2027. Fiscal 2019 operations and maintenance, Army funds in the amount of $7,912,428 were obligated at the time of the award. US Army Contracting Command, Redstone Arsenal, Alabama, is the contracting activity (W91260-19-C-0001). Northop Grumman, Herndon, Virginia, was awarded a $37,235,028 modification (P00108) to contract W911S0-11-C-0014 for support services at Fort Leavenworth’s center of excellence in combined arms education, doctrine, and leadership training. Work will be performed in Fort Leavenworth, Kansas, with an estimated completion date of May 31, 2019. Fiscal 2019 operations and maintenance, Army funds in the amount of $37,235,028 were obligated at the time of the award. US Army Mission and Installation Contracting Command, Fort Eustis, Virginia, is the contracting activity. Rockwell Collins Simulation & Training Solutions, Cedar Rapids, Iowa, is awarded $21,118,233 for modification P00001 to a previously awarded firm-fixed-price, cost-plus-fixed-fee contract (N6134018C00051) to procure four E-2D Advanced Hawkeye Integrated Training System Distributed Readiness Trainers. These medium fidelity tactics trainers focus on interoperability for distributed training that is required to stay concurrent with the aircraft, and will be delivered with E-2D Delta Software System Configuration 2 (DSSC-2) and with future DSSCs to be integrated into the system later. Work will be performed in Sterling, Virginia (60 percent); the Marine Corps Air Station Iwakuni, Japan (20 percent); Naval Base Ventura County Point Mugu, California (10 percent); and Naval Air Station Norfolk, Virginia (10 percent), and is expected to be completed in January 2022. Fiscal 2019 aircraft procurement (Navy) funds in the amount of $21,118,233 will be obligated at the time of award; none of which will expire at the end of the current fiscal year. 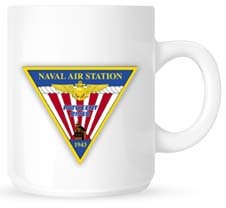 The Naval Air Warfare Center Training Systems Division, Orlando, Florida, is the contracting activity. Apogee Research LLC, Arlington, Virginia, has been awarded an $8,335,013 cost-plus-fixed-fee contract for a software systems. This contract provides for developing techniques and software systems that will substantially accelerate software vulnerability research. The Computers and Humans Exploring Software Security program will develop computer-human software systems and capabilities to rapidly discover all classes of vulnerabilities in complex software in a scalable, timely, and consistent manner. Work will be performed in Arlington, Virginia, and is expected to be completed by May 26, 2022. This award is the result of a competitive acquisition and 50 offers were received. Air Force Research Laboratory, Rome, New York, is the contracting activity (FA8750-19-C-0010). Didlake Inc., Manassas, Virginia, was awarded a $7,806,079 firm fixed-price contract. The contract provides custodial services at the Pentagon. Work performance will take place at the Pentagon and Pentagon Reservation in Arlington, Virginia. Pentagon Reservation Maintenance Revolving Fund funds in the amount of $7,806,079 are being obligated on this award. The expected completion date is Nov. 30, 2019. Washington Headquarters Services, Arlington, Virginia, is the contracting activity (HQ0034-15-C-0028).